After the fiasco in January, when I said my first novel was on sale, when it wasn’t, I’m trying again. As I’ve said before, my books are not just a different look at shyness, but a new way of seeing the world. and this is especially true of The Birdcatcher. Most people think we’re all basically the same people, all trying to play the same social game, so we should all try to be as much like each other as possible. But we’re not all alike. And we don’t all want or need the same things. We may all be trying to play the same game, maybe, but if so you can still play the game in your own way – you can still be yourself if you want to be. In The Birdcatcher, Christopher Stone is a shy life-long loner who has learned to cope with the modern world without abandoning his true self. He functions without anxiety in society, yet he retains his natural distrust of it. If you have trouble fitting into the modern world for any reason, you should read The Birdcatcher. And so, yes, the ebook is finally on sale at half the regular price – $1.99 vs $3.99 at Amazon.com, and a comparable price at other Amazon sites – from 1 am Sunday, March 24 to midnight, Saturday, March 30. The paperback remains at $9.99, which KDP (Kindle Direct Publishing, who produce it), tell me is the lowest price allowed for a novel of 326 pages. I have a confession. I read the Birdcatcher. I liked it so much that I read every chapter until the end of the book, 400 + pages. I completely forgot that only 4 chapters were supposed to be free. I thought I ought to let you know that the link is screwy because it is the total book, not 4 chapters. I am heading over to Amazon and will purchase one of your other books to make up for my pilferage. I am certain I will enjoy your other books, too. You are adept at understanding other humans and in the art of writing. Thank you. Oh, I’m just happy you read it. The mistake was mine – when I was having trouble getting the ebook done I put a full copy on the site. What program do you use to format e-books? It looks very professional. I am a published writer, too, but so far just magazine articles. I have a book in the works myself, so I am curious. Thanks. 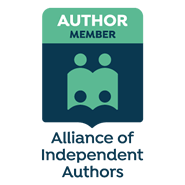 I use KDP/Kindle Direct Publishing – which is free, but has worked for me. I think they look better than they might because Ive been working with KDP for some time [3 books – in fact, 4 books since the 1st Shyness Guide was 1/2 the size it is now]. The funny thing is, if you examine ebooks on Amazon, there are ebooks of commercial bestselling authors that look amaturish – maybe some commercial publishers haven’t caught on yet re how important ebooks are going to be. I have noticed that some do look amateurish, but yours look great! So I figured you were the guy to ask. I have checked out several online formats, blindly, and one looks as good as the other. Oh, and free is good! 😄. I will try them first. Thank you, Alan.